Franchised car dealership Marshall Motor Holdings has expanded across areas of England with a £106.9 million acquisition of Ridgeway Garages. 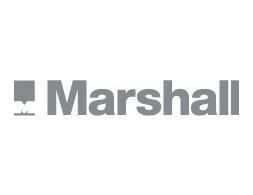 The deal will see Marshall Motor Holdings increase the number of countries in which it operates from 19 to 25 — making it the seventh largest car dealership group in the UK. Ridgeway Garages, which is headquartered in Newbury, operated some 30 franchised dealerships in the South. Marshall Motor Holdings have been following an expansion plan, as it seeks to boost earnings, with a £24.4 million acquisition of SG Smith dealership group as recently as November 2015. As for the most recent acquisition, Ridgeway Garages posted revenues of £722.6 million in 2015. Daksh Gupta, the chief executive of Marshall Motor Holdings, said of the most recent deal: “The Board expects the acquisition of Ridgeway to deliver significant earnings enhancement and returns materially greater than our weighted average cost of capital.